Do we all not ask ourselves "Why" every day? Why do we have to study? Why do we have to work? Why do we invest? Why are you here reading this now? One word. A word that fires up the neurons in the brains and forces us to put into perspective of why do we do the things you and me are doing, even right now. Why did I pen down my thoughts on what I felt about this video? Personally, I feel that this commercial by the Ministry Of Education was tasteful and well-executed in its intention. I really like it. More than anything else, it stimulated thought and is flawless in the timing of the release. So what did I learn from this commercial? In the video, the man looks back in time as the boy who never stopped asking questions. Perhaps the first learning point that stood out to me the most, is that as Singaporeans, we must be bold and unwavering in our own quest for answers. We give purpose to those pursuits and when the going gets tough, we remind ourselves of those questions. The second learning point is to be grateful for the people who were there in one of the most important journeys of your life. Teachers has a far bigger impact on us than we give them credit for. If you look back, I'm sure your teacher made an impact on you in the form you least expected. It could be inculcating the good values in you or their beliefs that you can do better not only in academics but in your own personal pursuits. 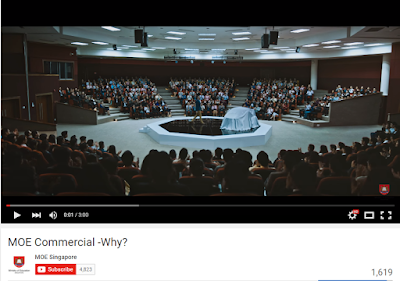 While it is expected of MOE to use this commercial to inspire potential future generations of teachers to join the noble profession, it has ignited something else. It made me think hard. Why stop here? Why not learn something new right this instant? 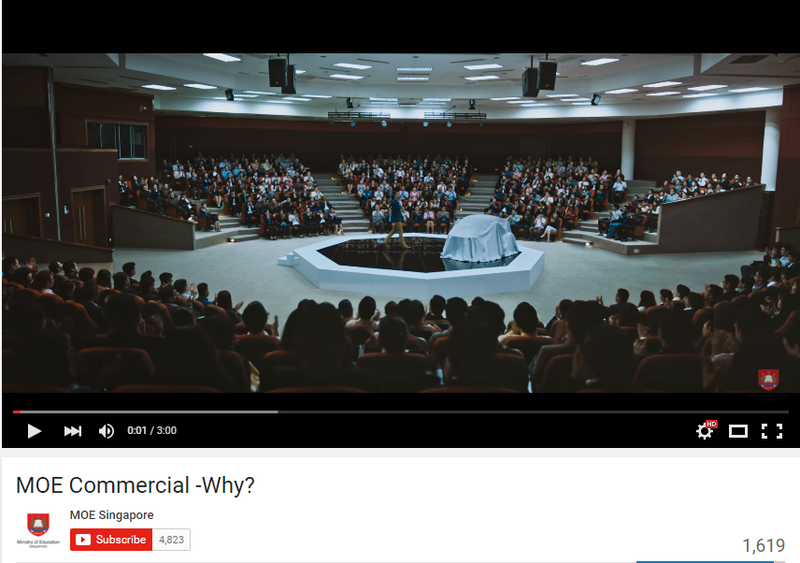 With this video, SkillsFuture come to mind, and the call by the government to learn new skills should ignite questions in the minds of Singaporeans. We have to make that effort. I believe that is what a good inspirational video should be. Kudos to MOE for this thought-provoking word. If you haven't watched it, you should really do so. It plays in the commercial breaks on TV or you search for the MOE channel on YouTube.